Principal occupation Clerk, Lawyer and Post & Telegraph Station-master. 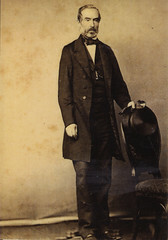 Henry Rothwell Pounsett was born in 1811, son of H.R. Pounsett of Surrey, England. He was a Clerk, Lawyer and Post Office & Telegraph Station-master. Honorary organist at St John’s and St Paul’s Church in Adelaide and St. Stephens Church in Willunga. He was resident in Gawler Place, Adelaide during the 1840s and 1850s. He was described as a clerk in 1848 and he was admitted as a practitioner of the Supreme Court in 1851. Henry, his wife Elizabeth and either two or three children (Margaret Eleanor and Henry) arrived in SA as cabin passengers on board the 250 ton barque Seppings (Captain Corry Rawlings from London with 60 passengers) on 23 June 1839. 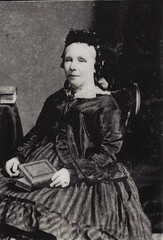 Henry was married to Elizabeth Hubert Bee (1816-1884). They had 7 children (5 girls and 2 boys) Margaret Eleanor (1835-1907) m. Harrison Powell on 26 May 1864 at St, Stephen’s Church, Willunga Henry (1836-1890) m. Emma Knowling on 07/01/1862 at St. John Church, Adelaide. Elizabeth Jane (1840-1916) m. James Hughes on 26 May 1864 at St, Stephen’s Church, Willunga Caroline Mary (1841-1877) m. William Willoughby Shaw d. at Adelaide aged 33 years Amelia (1844-1868) b. at Adelaide d.at Willunga Mary Ann Alice (1848-1901) m Gerald Osborne Hodson William Rothwell (1851-1937) m. Sarah Ann Whitefield on 21 Dec 1876 at St, Stephen’s Church, Willunga and he was a telegraph clerk. Henry was appointed as Willunga’s first Telegraph Station-master in 1858 when the telegraph line was built from Adelaide to Melbourne and the new Post Office and Telegraph Station opened at 62 High Street. The first Post Office and Telegraph Station on this site was a single story building and in the 1860s the present two-story building was built and the verandah was added. Elizabeth Pounsett (nee Hubert Bee) aged 68 years died on 22 July 1884. Henry was the postmaster at Willunga until his death on 27 July 1891 (33 years), aged 82 years. Do you remember Pounsett, Henry Rothwell ? Then Join up and add your memory here.